Total Alkalinity and pH are two of the most fundamental parameters in drinking water testing as well as a great variety of other applications of water usage. Alkalinity indicates the buffering capacity of natural waters. A water is buffered if the pH does not change greatly by addition of acids or bases. 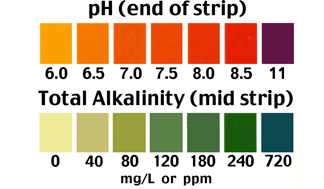 Background information on this test # 115 pH and Total Alkalinity is available as a PDF download.